A large duplex apartment (two floors), providing an apartment feel of living, but with lots of space. A 15 minute walk to the Sheffield city centre, it enjoys the benefits of the city centre, while enjoying large open green space (Norfolk Heritage Park) and ample free car parking. The property is within 30 mins drive of the Peak District National Park. The property offers a large modern kitchen with modern appliances and a large dining area on the ground floor, along with a toilet. Offering three bedrooms, two doubles and one single on the first floor, the lounge also offers sleeping for a further two people via the use of a sofa bed. There is a Supertram stop is within five minutes walk. The Supertram is frequent and reliable and offers easy access to the centre, both universities, the railway station, Hallamshire Hospital and Meadowhall shopping complex. Uber is also a cheap alternative for getting around (£4 to the city). The living space is accessed via its own front door. The duplex apartment is part of a communal block, i.e. there is a property above. 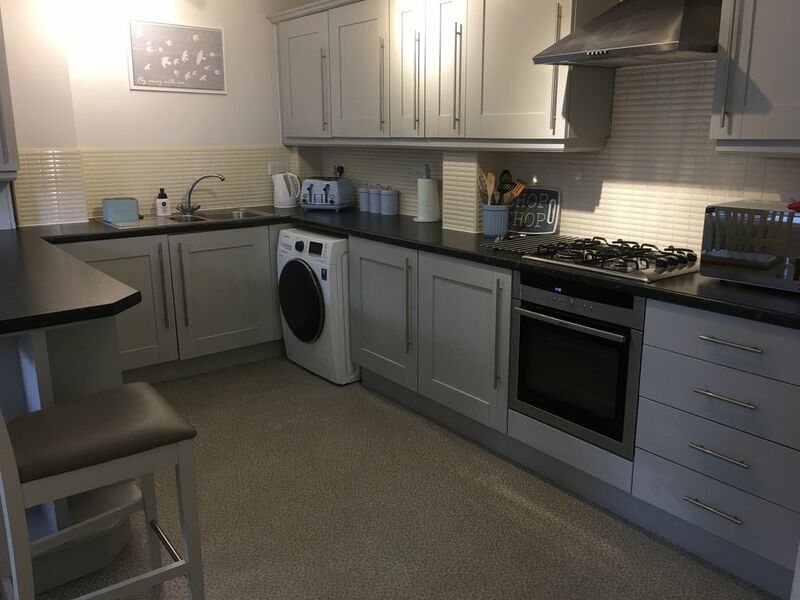 The area is quiet and is opposite a large green open space, Norfolk Heritage Park.Unlike other apartment type properties in, or close to the city centre, this property offers space, free parking and convenience to the Sheffield city centre. Set over two levels, the property offers a large modern kitchen with modern appliances and a large dining area. Offering three bedrooms, two doubles and one single, the lounge also offers sleeping for a further two people via the use of a sofa bed. Having been brought up in Sheffield, and attended one of the city's universities, I know the locality well. I have also hosted guests at various properties for several years and really enjoy interacting with guests. I like the buzz of a city and being able to access cafes, restaurants and theatres, but equally, I like the peace and be able to stroll around a park and hear the birds sing. This property allows me to do that very easily. Easy access to the city. Great public transport links. Free parking. Close to open green space. Feels more like a house than an apartment. Own entrance door from the street. Three toilets in total. One on the ground floor, one in the main bathroom on the 1st floor, and one in the master bedroom.